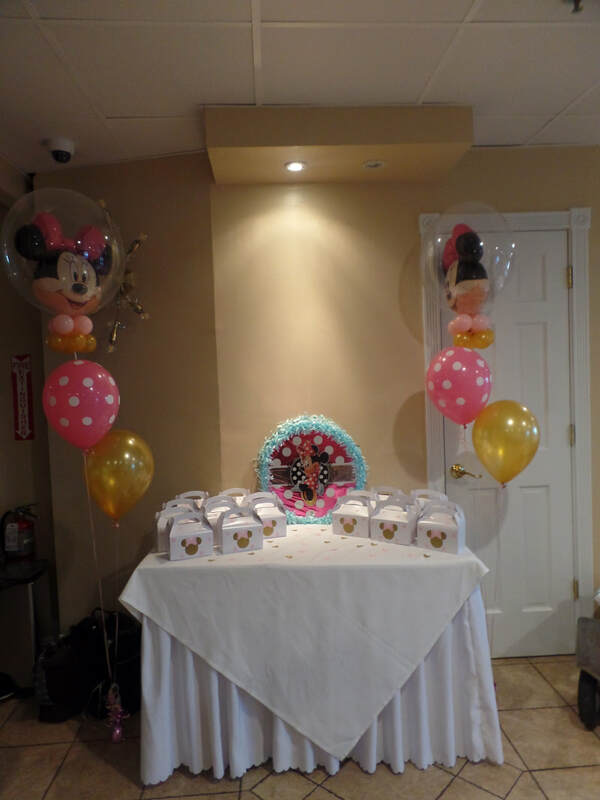 For the cake table, I created two columns in rose polka dot, gold and white. 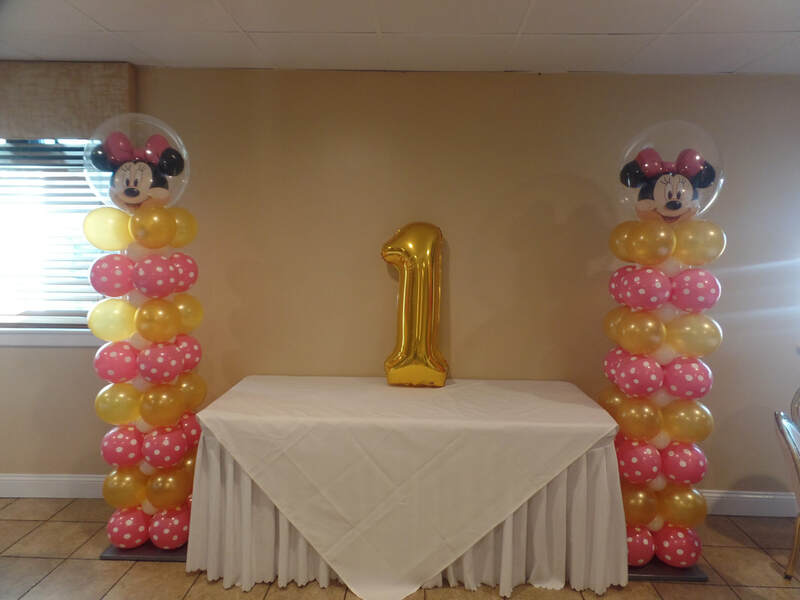 The column toppers were Minnie Mouse double bubble balloons. 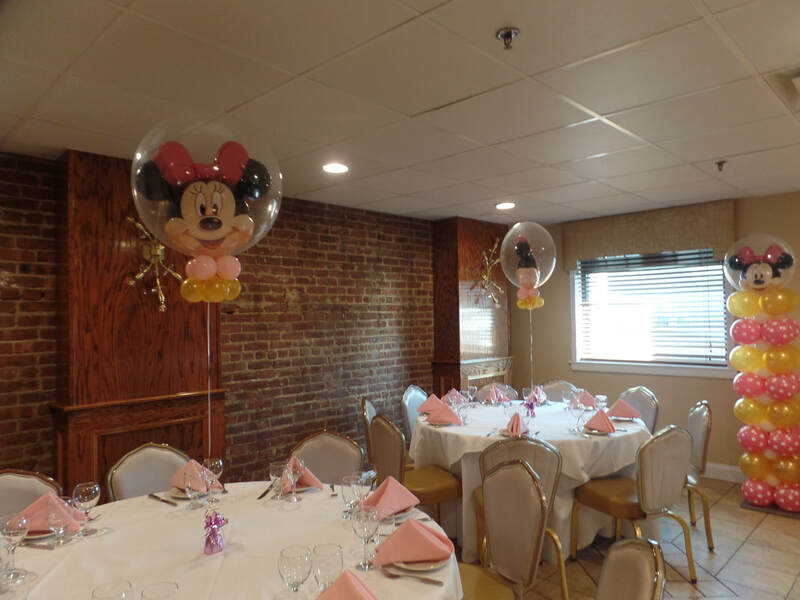 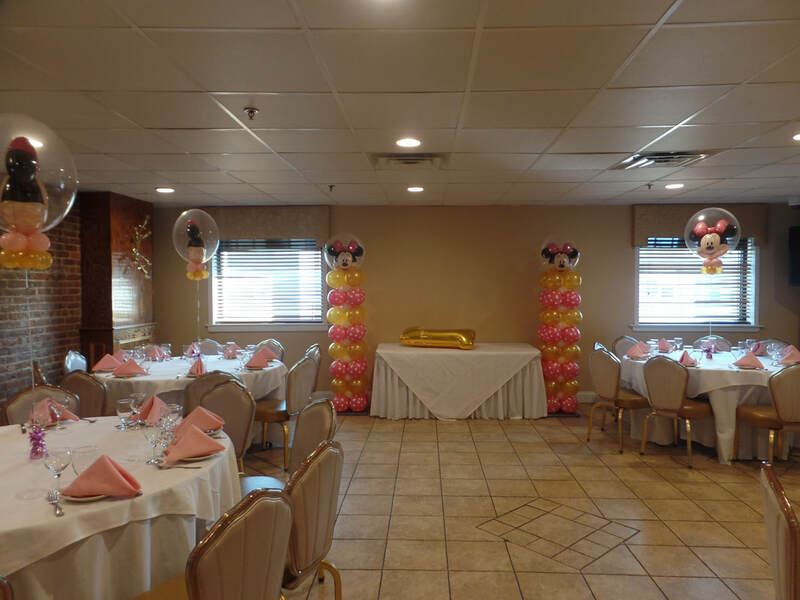 Each guest table centerpiece had a double bubble Minnie balloon with a balloon collar in pink and gold; and, for the favor table, a floor arrangement with latex and double bubble balloons.